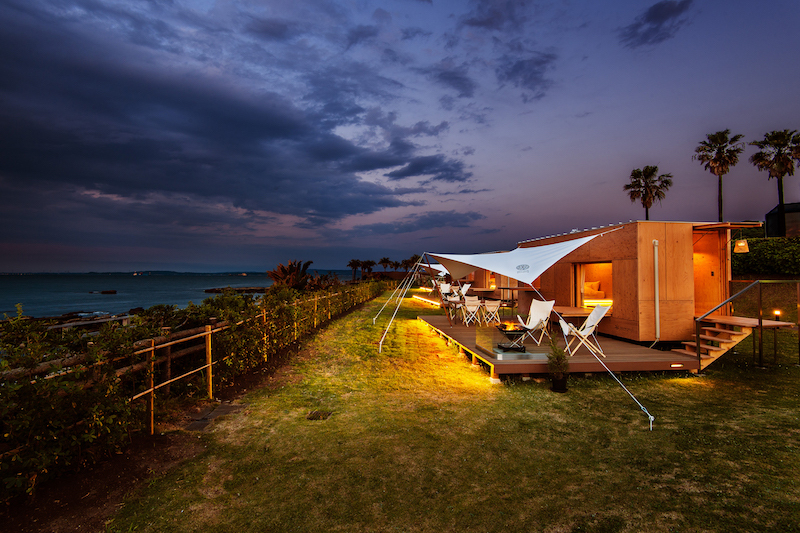 Glamp by the sea at the eastern end of the Miura Peninsula. Surround yourself with Snow Peak products to enjoy a rich outdoor experience. 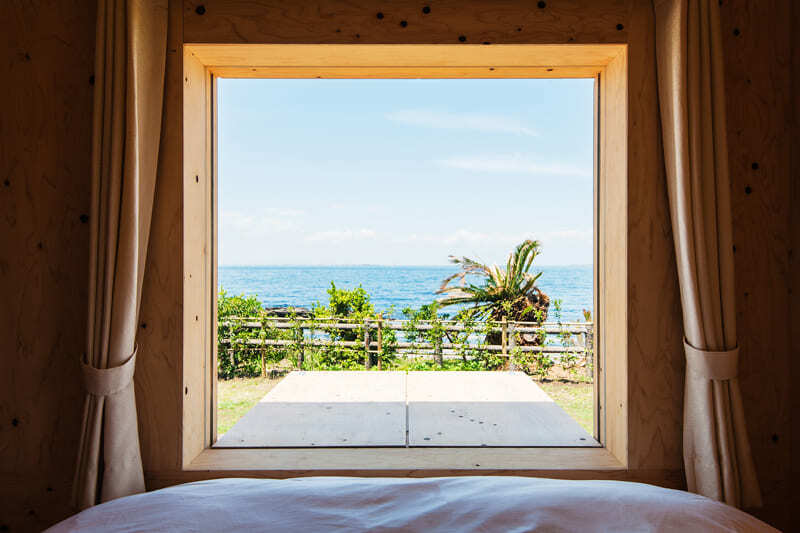 They include JYUBAKO, a trailer house designed by internationally renowned architect Kengo Kuma. 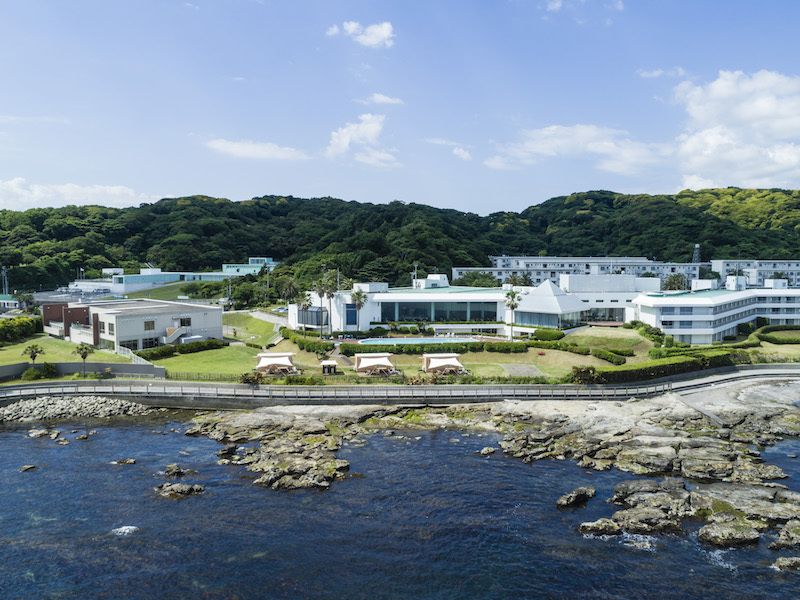 The meals use abundant ingredients from the Miura Peninsula area. 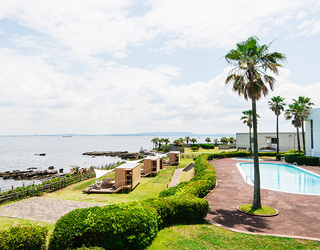 Please your palate in a superb location commanding a view of Tokyo Bay. 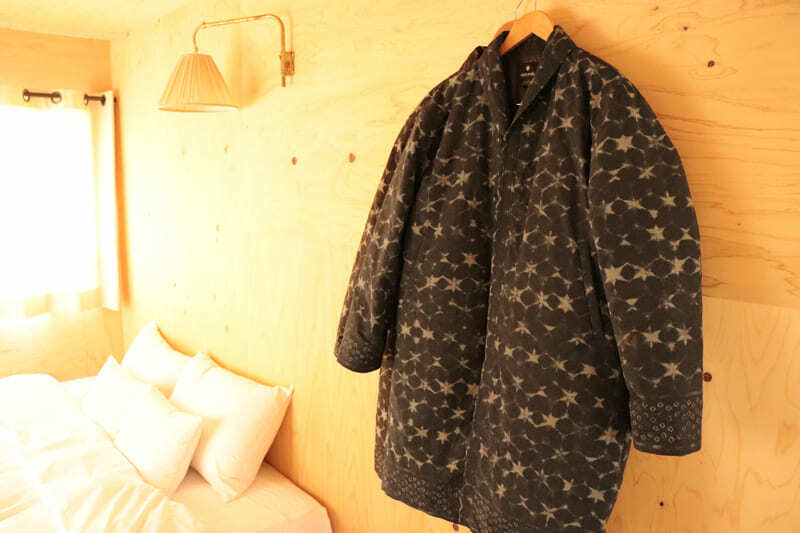 The guest house is meticulously and jointly produced by Snow Peak and international architect Kengo Kuma. SPASSO, a spa facility, is located next door. *SPASSO is available even after checkout. Meals with ingredients from Miura Peninsula are not available elsewhere except Kannonzaki. Our chef prepares your meals using abundant local ingredients. 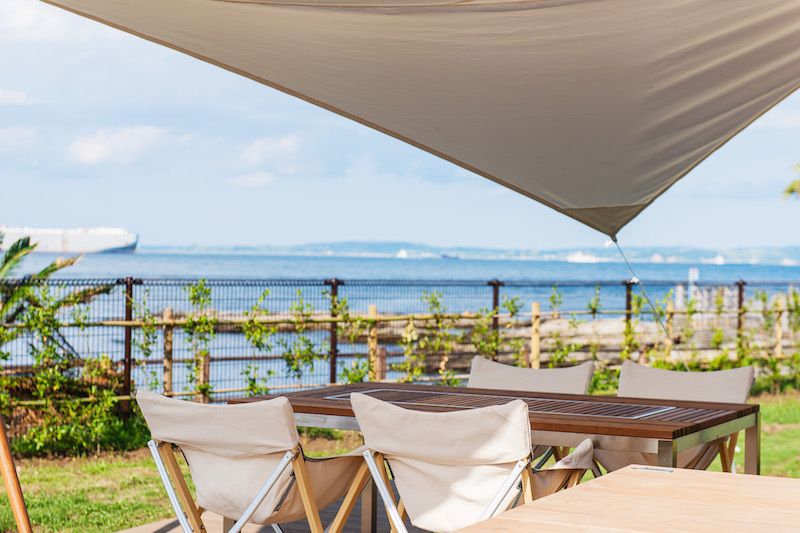 Commanding a panoramic view of Tokyo Bay, the deck offers a great location to have a slow-paced meal. Snow Peak’s tableware adds color to the gorgeous meals. 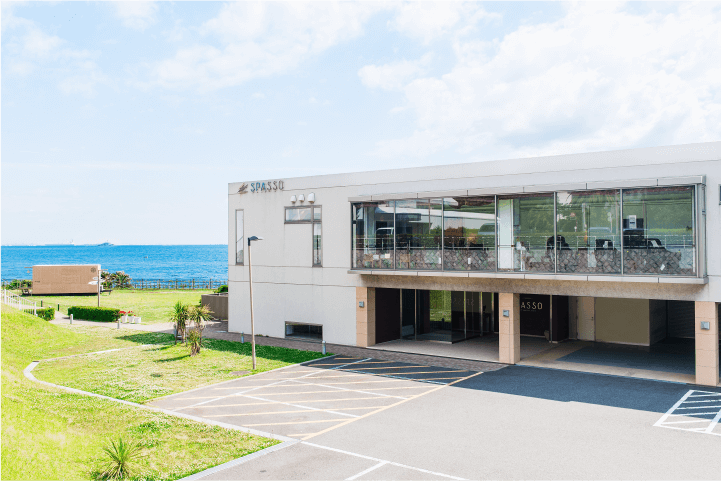 Carefully selected ingredients from Miura Peninsula are offered in the tastiest possible condition. 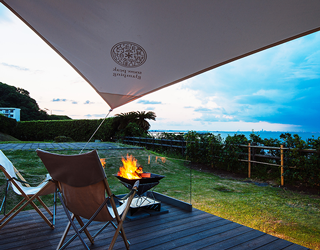 Another fun part of the glamping dinner is the participation of guests in the process, such as a barbecue. 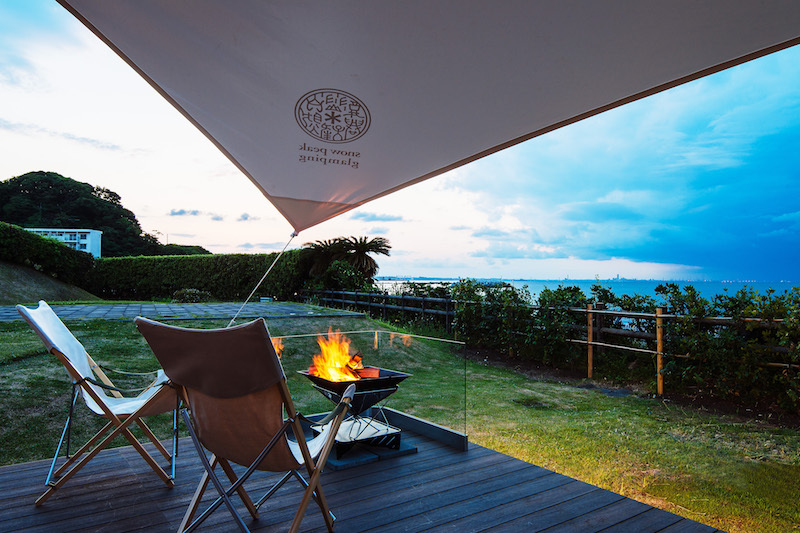 Eating in the great outdoors will surely enrich your experience. *A Kid’s Plate is available for children (+1,900 yen）. 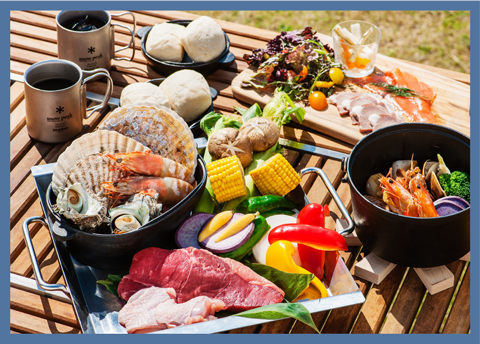 In the crisp morning, enhance your outdoor mood by using Snow Peak’s cookware. Select and eat as much as you like. 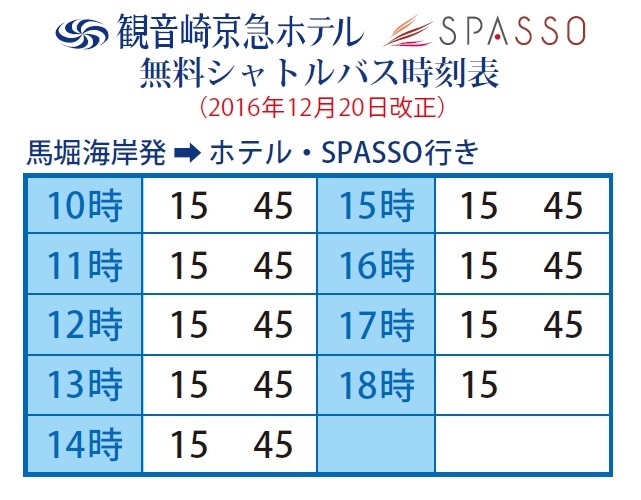 *The same meals are served for both adults and children (+2,300 yen). Feel the sea breeze and enjoy supreme moments of healing on an open deck. *Procedures are performed on the dedicated deck in front of the trailer house. *Procedures can also be performed inside the SPASSO facility. *Requests for a procedure on the deck may be declined depending on conditions such as the season, the weather, the temperature and the time. 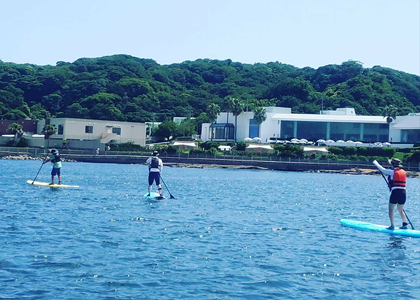 Available to all guests for the popular SUP (standup paddleboarding) and kayaking. *Available from separately operated shops located close to the hotel. 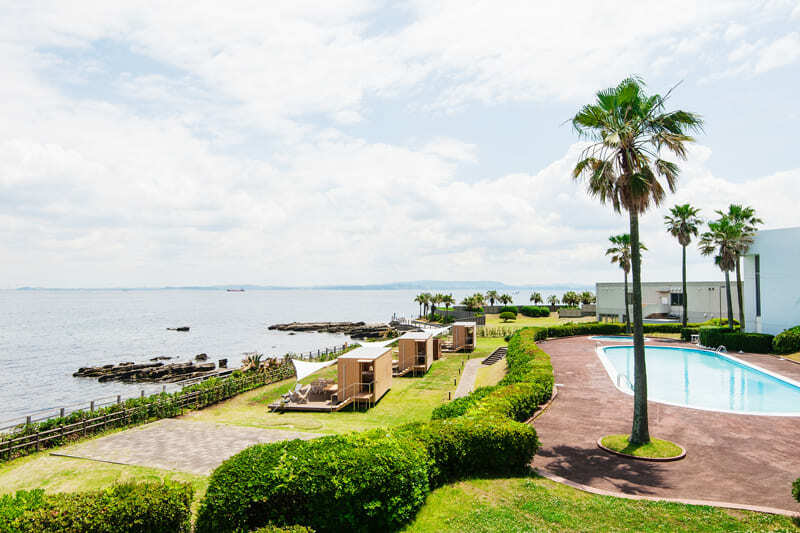 The only uninhabited island in Tokyo Bay. 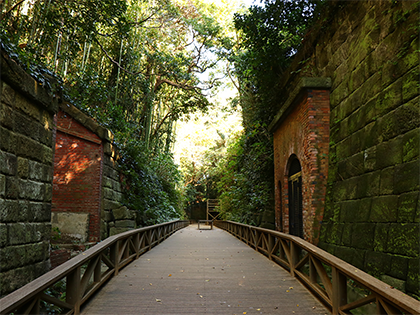 Easily reached in approximately 10 minutes by boat from Mikasa Wharf, the island features brick tunnels and fortress ruins and other former military facilities among its rich natural surroundings and woods, allowing visitors to enjoy a sense of exploration. 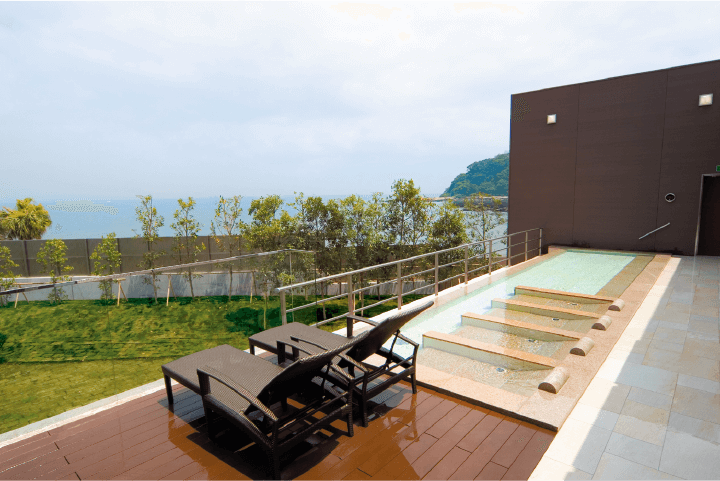 Visitors can also enjoy fishing, swimming, barbeque, and other outdoor activities throughout the four seasons. By car: Approximately 25 minutes via Yokosuka Kaigan-dori Street. 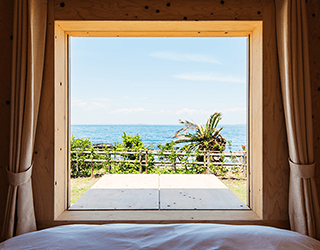 By bus: 26 minutes by bus bound for Yokosuka Station, departing from the bus stops in front of Kannonzaki Keikyu Hotel or Yokosuka Museum of Art. Get off at Otaki-machi and walk for 10 minutes. 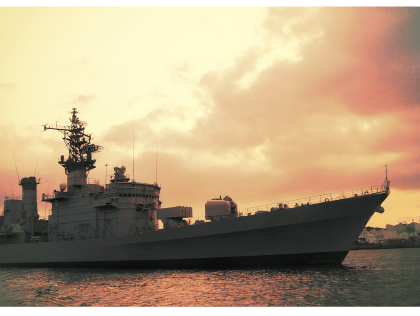 The only cruise in Japan that offers a chance to see Japanese warships up close. Yokosuka Port has developed as a naval port for nearly 160 years, since the U.S. fleet led by Commodore Perry landed. Yokosuka is widely known as the port where a U.S. naval facility (Yokosuka Main Port) and the headquarters of the Japan Maritime Self-Defense Force (Nagaura Port) are located. 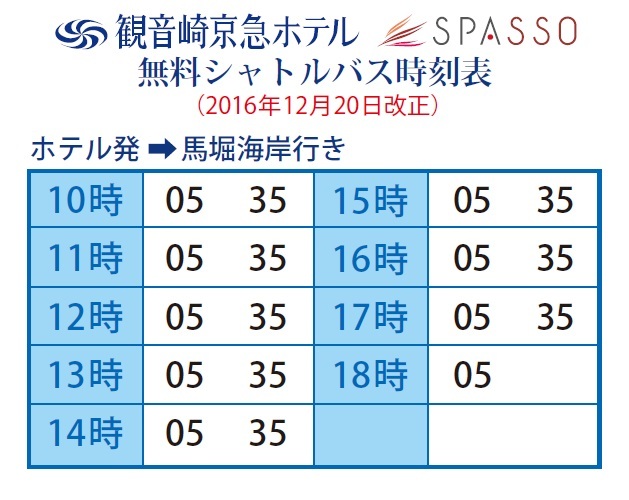 Tryangle operates the Yokosuka naval port tour of these ports daily. 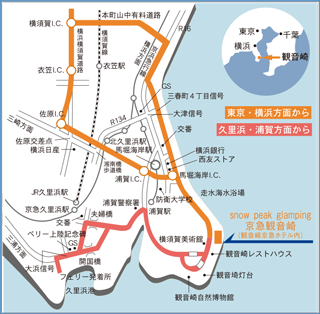 *The route may be changed. 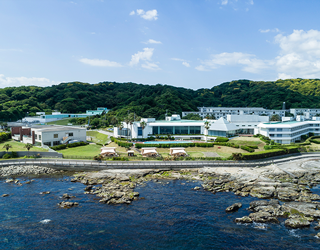 By bus: 28 minutes by bus bound for Yokosuka Station, departing from the bus stops in front of Kannonzaki Keikyu Hotel or Yokosuka Museum of Art. Get off at Shiodome and walk for 3 minutes. *All of the indicated prices include tax and service fees. *The use of a room by one guest is the same price as the use of the same room by two guests. *The indicated prices include supper and breakfast. 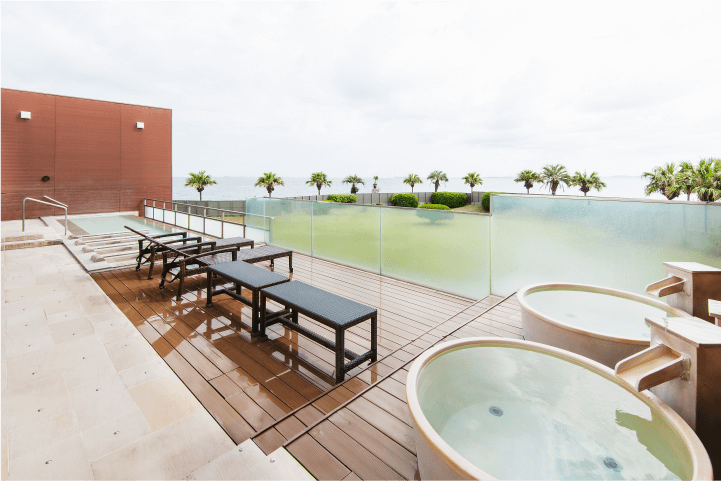 *A free pass to the bathing facility, SPASSO, and the seaside swimming pool (limited to the summer season) is included. *The service may change to some extent during poor weather conditions. 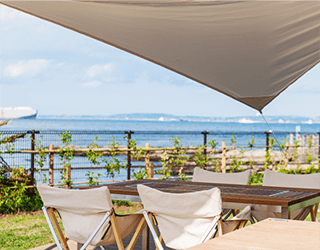 *We charge 20% of the entire accommodation fee for a cancellation made between two and seven days before the scheduled day of the visit, 50% for a cancellation made on the day before, 80% for a cancellation made on the same day and 100% for an unreported cancellation. Get off at Maborikaigan Station on the Keikyu Line. Ten minutes by bus bound for Kannonzaki or seven minutes by taxi. or at JR Yokosuka Station. 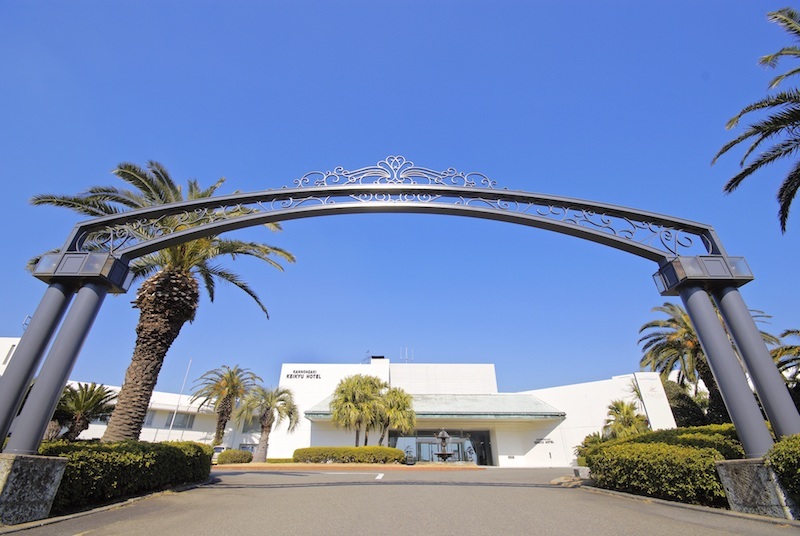 Sixty to eighty minutes from central Tokyo via Yokohama-Yokosuka Road (five minutes from Maborikaigan Interchange). *The parking space has a capacity of 140 vehicles. Can I bring my pet to the facility? We apologize, but our guests are kindly asked to refrain from bringing their pets into our facilities. From when can I book a room? What is the maximum number of guests that you would accept on a group basis? Three is the maximum number. We will not accept a group consisting of four or more persons. 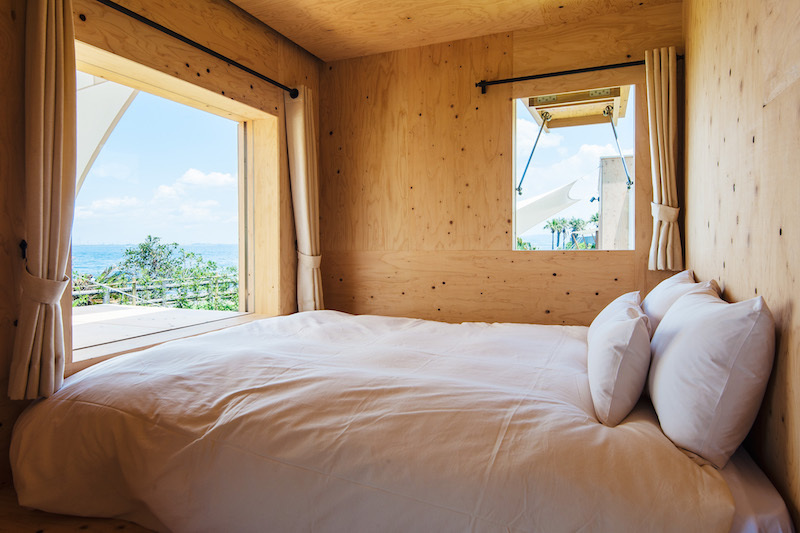 An extra bed is provided for a room accommodating three guests. *Sharing a bed with a small child(ren) may not be counted as two or more guests. 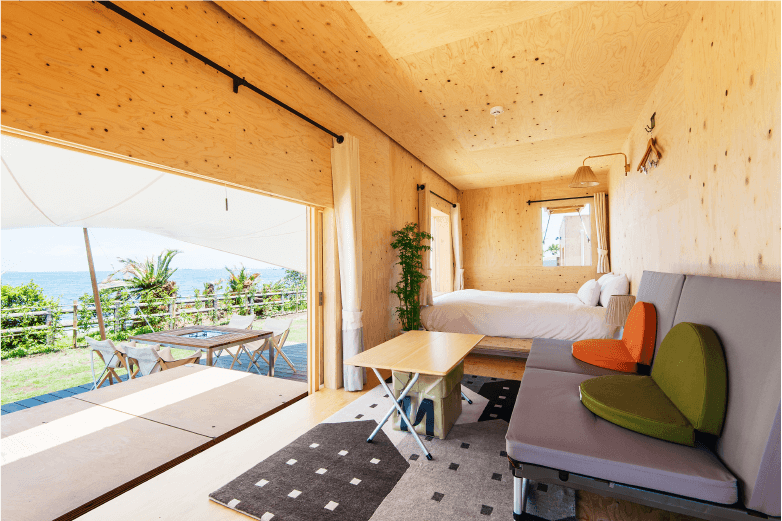 However, four guests maximum can share a room with a shared bed(s) (for example, up to two adults and two children). For safety, if your group must to be larger than the maximum number, you will be asked to use another compartment. What are your hours for accepting telephone bookings? We accept telephone bookings and inquiries from 9:00 a.m. to 6:00 p.m. The check-in time is from 2:00 p.m. to 6:30 p.m. The check-out time ends at 11:00 a.m.
Would an extra bed be available for a group consisting of two or three guests? Yes. 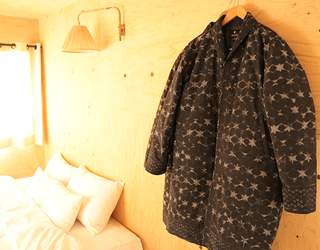 An extra bed is available for 6,000 yen. Will you charge a cancellation fee? We charge 20% of the entire accommodation fee for a cancellation made between two and seven days before the scheduled day of the visit, 50% for a cancellation made on the day before, 80% for a cancellation made on the same day and 100% for an unreported cancellation. Would you refund the accommodation fee if the weather began to worsen after check-in? We apologize, but we are unable to refund the fee. What would you do in the event of a typhoon or others? We would not charge a cancellation fee if we declined your stay due to poor weather conditions, which seemed dangerous. 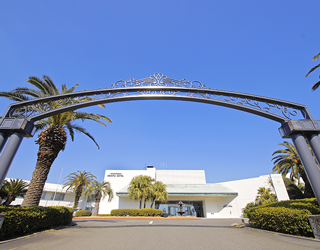 If our facility will close, we will notify guests using the contact information provided at the time of booking. We would like to stay together with our parents, however we are worried about an outdoor stay with our elderly parents. 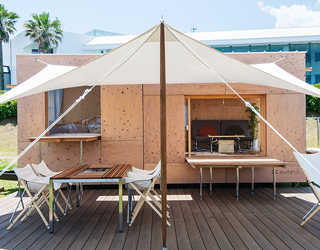 The facility is next to the Kannonzaki Keikyu Hotel, so you could stay in separate accomodations with your glamping and your parents in the hotel. Please make two separate accomodation reservations if you wish to use this method. Tell me about the trailer house, JYUBAKO, in detail? 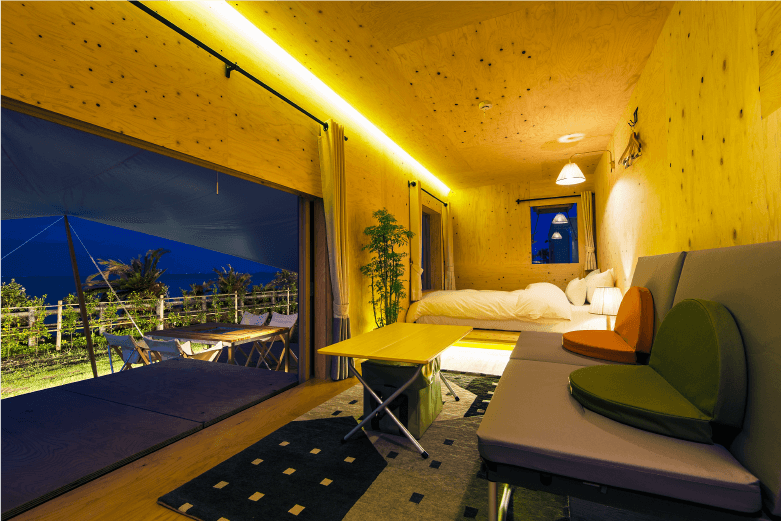 JYUBAKO is a trailer house developed and produced jointly between Snow Peak and internationally renowned architect Kengo Kuma. 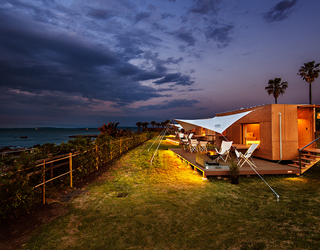 Combining wooden panels, the trailer house assimilates into nature and softly surrounds guests. The total area of the house is approx. 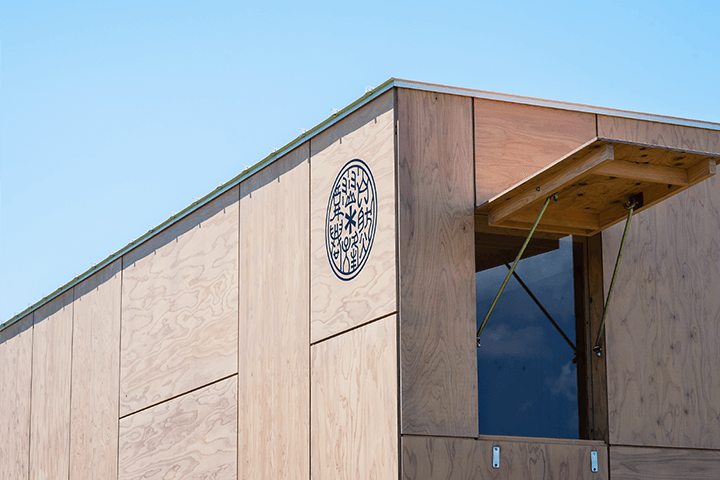 11 sq. m. The height of the ceiling is approx. 2 m.
Does JYUBAKO have a toilet? JYUBAKO has no toilet or wash basin. Please use the bathroom located at the end of the glamping reception area or in the hotel building. A wash basin is available in the garden space. Does JYUBAKO have a bath? No, JYUBAKO does not have a bath. However, it is adjacent to SPASSO, a bathing facility, which is open from 10:00 a.m. to 11:00 p.m. and is available for free. Bath towels and face towels are available to rent for free. The facility is furnished with amenities, including shampoo and conditioner. The women's bathroom is furnished with makeup remover, lotion and face cream. 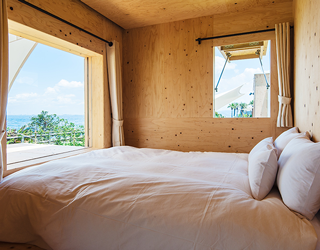 Our glamping guests may use the warm-bath facility even after check-out. What is included in JYUBAKO’s furnishings? 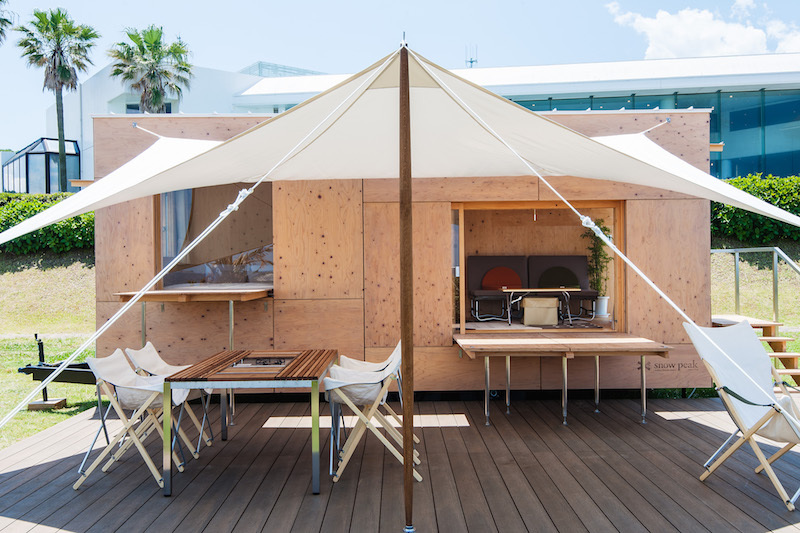 A double bed (king-sized), sofa, cooler, electric kettle, air-conditioner, room wear (long-sleeved), power outlet (30 amperes), amenities (toothbrushes, face towels, razors, hair brushes and soap). 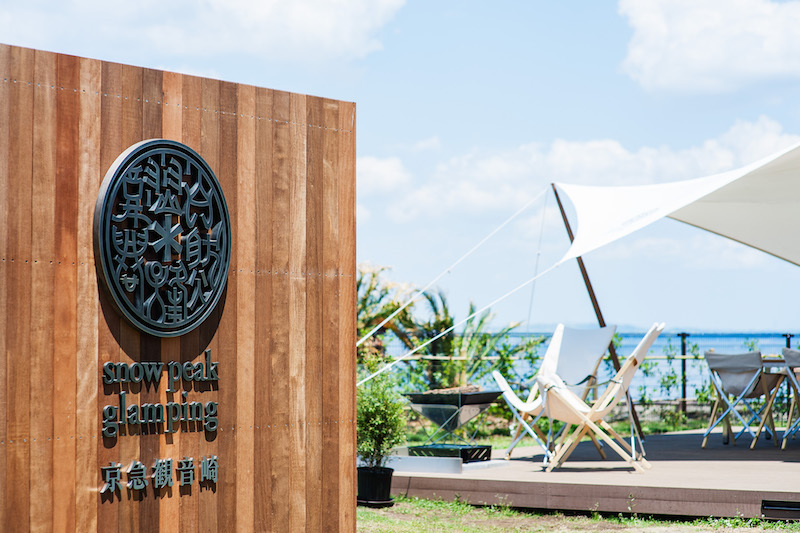 From 7:00 a.m. to 10:00 p.m. Outside these opening hours, call: +81-46-841-2525. Do any of your staff members work on a resident basis? Can I bring an inflatable pool and/or fireworks into the facility? No. Our guests are kindly asked to refrain from bringing any of these items. Do I have to remove my garbage? Please separate your waste and we will collect it. Yes. It is located near the glamping reception area in the hotel building. What type of clothing is optimal? The inside of the facility is air conditioned. 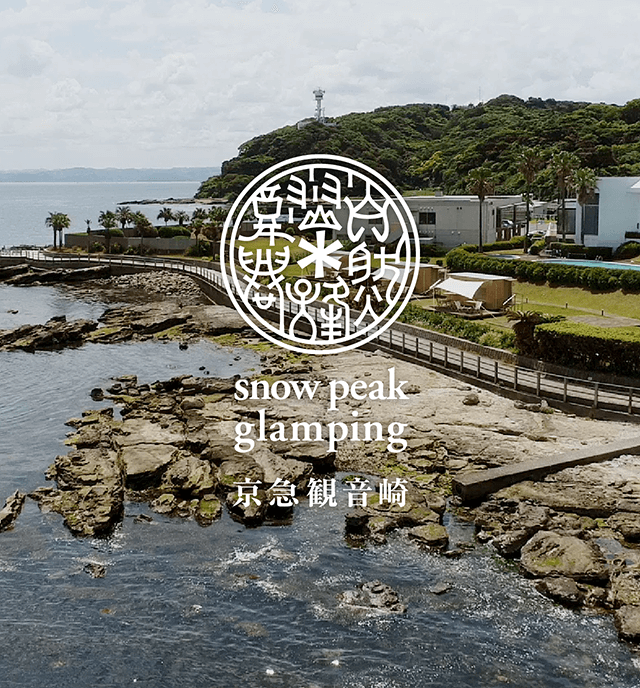 For outdoor use, Snow Peak brand down jackets are provided, however as the facility is at the seaside, please bring warm clothing. Even during the summer the temperature can drop quite low during the evening. Where are we supposed to eat? 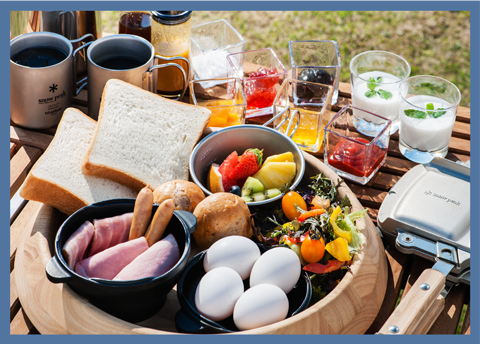 Supper and breakfast are both served at the dedicated deck in front of JYUBAKO. In poor weather conditions or in a strong wind, meals may be served at the adjacent restaurant, Hamayu. *Hamayu only offers prepared meals. Do you have a meal option other than that included in the accommodation plan? Yes. Some options require prior reservation. Basically, our guests are asked to refrain from bringing food. However, bringing food for your child(ren) is acceptable. Please note that we hold no responsibility for food poisoning or other problems that may occur from the food brought by you. Can we rent or borrow wineglasses? There is a risk of wineglasses being blown over by the wind and breaking, so we instead offer mugs for use. Tell me about Snow Peak points. You may not gain or use Snow Peak points by simply staying at our facility. As a perk, registered Snow Peak members may be served a half-size glass of sparkling wine. 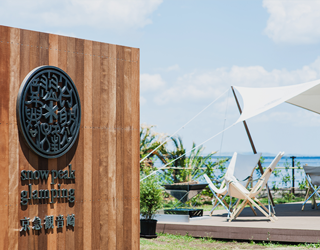 During booking or check-in, please inform us of your Snow Peak membership. © 2017 KANNONZAKI KEIKYU HOTEL.